X-Factor 2013: The first live show and it's 80's night! The time has finally arrived for the X-Factor live shows. After 6 weeks whittling the contestants down to the final 12, the show began with the usual fanfare that is X-Factor. Lights, camera, Dermot O’Leary in tight trousers! The show took its usual format and picked a theme for the night – for night one we were treated (or tortured – depending on your point of view) to an 80’s theme. Many of the contestants weren’t even born by the end of the 1980’s so an interesting choice! Hannah kicked the show off with What’s Love Got To Do With It. Nothing spectacular but a good solid performance to open the live shows for 2013. We worked our way through the other 11 performances with what seemed like an inordinate number of ad breaks - usually just as we were to find out what the judge’s thought. We saw Nicolas McDonald perform Spandau Ballet’s True and Miss Dynamix gave us Jump. But with singer Seesee revealing she is 5 months pregnant there wasn't alot of jumping. Sam Bailey belted out Power of Love, Sam Callahan performed a mediocre Summer of ’69, Kingsland Road gave us their version of I’m Your Man and Shelly Smith performed Alone. Abi Alton gave a very unique version of Bon Jovi’s Livin’ on a Prayer while Lorna Simpson was So Emotional. Tamera Foster performed Ain’t Nobody, Luke Friend gave us Every Breath You Take and they seemed to save the best for last with the reunited Rough Copy’s version of the Phil Collins classic, In the Air which went down a storm. During his feedback to Rough Copy Gary Barlow confirmed the rumours that this is to be his last year on the show. 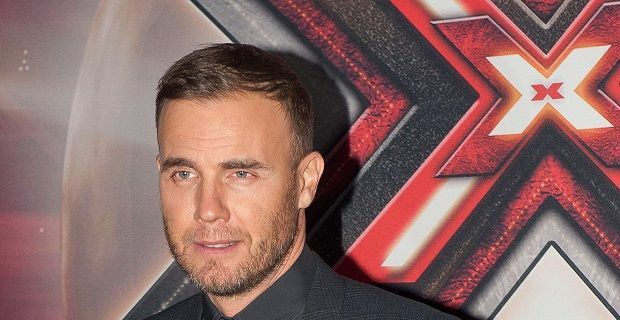 Maybe it’s the last year of X-Factor but Gary is definitely not back next year. In this year’s format change there was the introduction of a “Flash vote”. Lines opened up on Saturday night for 10 minutes after all contestants had performed and the one with the lowest votes was to be confirmed part of the Sunday night sing off. The result of the flash vote was announced (after another well timed commercial break) at the end of the show and for night one it was Shelly Smith who came out on…well, the bottom. The Sunday results show, which could likely be done in 10 minutes was, as usual, stretched to a full hour with celebrity guests. For the first live shows we were treated to Ellie Goulding and a singer well familiar with the 80’s, Cher. After all that fanfare all we really wanted to know was who was being sent home. So having found out that Shelly Smith was to contest the sing off we awaited another reveal – and it was a bad night for Sharon Osbourne as it turned out to be Lorna Simpson who ended up in the bottom two. With no deadlock it was up to the judges’ to decide who was to go home (but in event of a tie the result reverted to the Flash vote so Shelly was at risk). Sharon, given they were both of her acts, abstained from the vote, and once the other three judges’ voted our first elimination was………Lorna Simpson. Bye bye Lorna and same time, same place next week. Live show number 2 with a Love and Heartbreak theme next Saturday on ITV1 at 8pm with the Results show on Sunday at 8pm.